John Saunders Wilson—– better known as ‘Cap’ or ‘Jack’ in building circles of Dudley Hill in Paget. 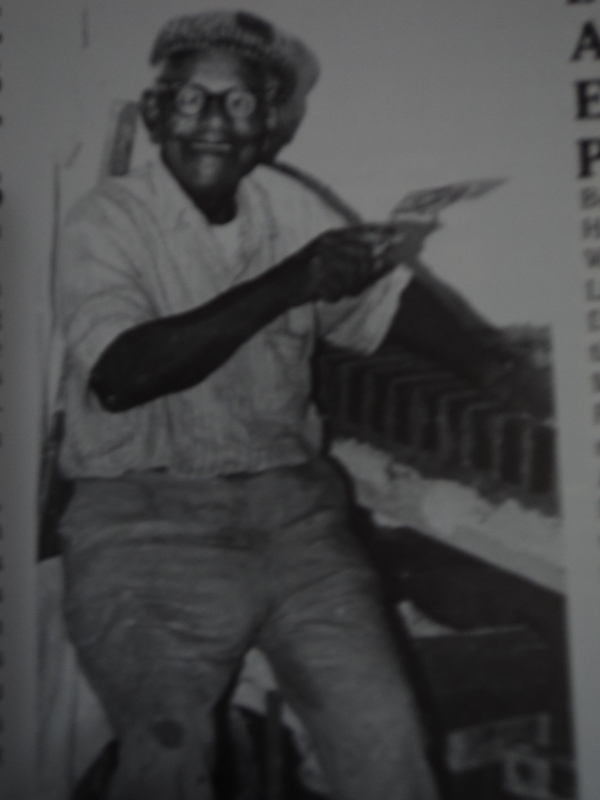 The house he was born in was owned by his grandparents Benjamin and Elizabeth Wilson at Croydon Harbour Road Paget. John S. Wilson was born on 12th July 1893 to Charles and Margaret Wilson. At the age of 6 years his parents moved to Ely’s Harbour, Somerset. His father Charles Henry “Concrete’ Wilson was also a builder. For a time he worked as a foreman building the Breakwater in Dockyard and later on sites as St. James Church Somerset and Paget Hall in Paget. John left school at an early age to learn the building trade with his father. After his apprentice ship he was taught how to read plans by Mr. Edward H. Tucker an Architect. John soon became so efficient that he repaired and built houses from Somerset to St. Georges. He worked on such places as the Clock Tower in Somerset, First Bank of Bermuda in Hamilton, the old Bermudiana Hotel, the Imperial Building on Church Street, the railway Tunnel(now Par-la-ville Road.Whitney house on Heron Island and an addition to the Berkeley Institute and many more. One of his other notable homes built was called the ‘Birdcage” in Pembroke in 1920. John Saunders Wilson left a legacy of a builder that should not go unrecorded..